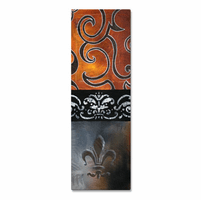 Those who prefer decorating with regal style with a French floral touch will love classic Fleur De Lis metal wall art. Round metal wall art, scrollwork designs, wall hangings, and architectural floral accents look lovely in any elegant space, and at Metal Wall Art we offer many options. Whether decorating a stylish bedroom or a formal living room or grand foyer, Fleur De Lis will become one of your favorite decorating styles. Stop back often to view the many new pieces we will regularly add to the site. 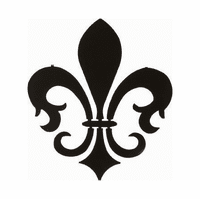 It is our goal to provide our visitors and customers with the greatest overall selection of Fleur De Lis wall art and many other varieties and styles, and we are so sure you will love our products that we offer 100% satisfaction or your money back.